Showers Pass makes technically advanced active apparel and gear to inspire and enable the pursuit of outdoor adventure. 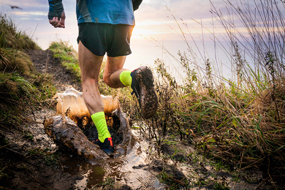 They specialize in waterproof and breathable active apparel (rain gear) and have broadened their line to include performance apparel, waterproof socks, and waterproof bags. Based in Portland, Oregon Showers Pass is a small team of outdoor enthusiasts who bike, run, hike, climb and play in the outdoors. Their products are used by pro cycling teams, mountaineers, runners, cross-country skiers, bike commuters, mountain bikers, firefighters, endurance athletes and others who demand high-performance and reliability from their gear.